When I headed to Grand Teton National Park for a photo tour this past July, I arrived in Jackson, Wyoming, in mid-afternoon. I always try to fly out very early when I travel to make sure that if something goes awry, I have some time to make new arrangements. Even though I was tired from the travel, I hadn't been to Jackson in almost 10 years so I wanted to make sure that no time was wasted. 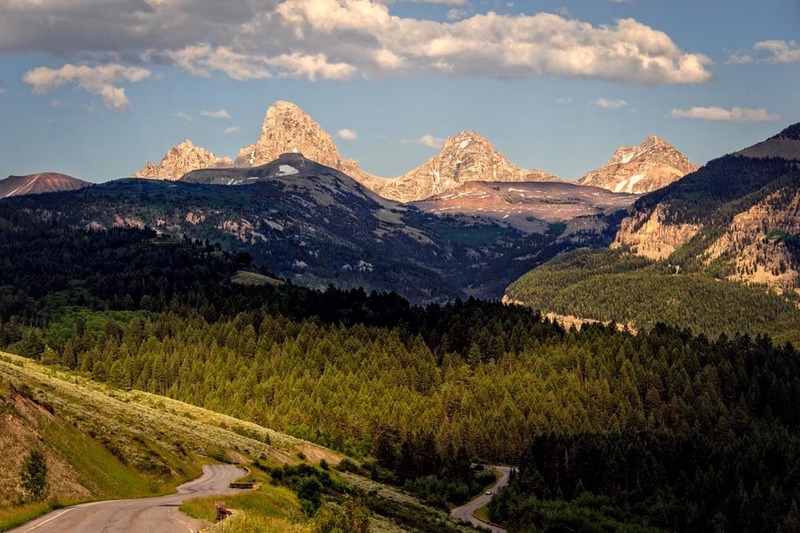 When planning my trip, my fellow blogger, Rick Louie, suggested that I spend some time on the far less visited Idaho side of the Tetons. To get there, you head out of Jackson and travel over Teton Pass, and then head north toward the town of Driggs. Once downtown, turn east, and you come to Alta. The town is quite small (less than 400 residents), but the attraction is a very different look to the Tetons. While not quite as captivating as the national park, the landscape is still pretty compelling. I thoroughly enjoyed this drive, and fully expect to revisit it the next time I head to Jackson. Thanks for the tip Rick.